The brutal and the banal mix in this fascinating collection of real-life crime stories from one of New Zealand's finest storytellers. Braunias is an award-hoarding journalist, though really more of a Swiss Army Knife of non-fiction writing, able to adroitly turn his pen and wit to all manner of forms and subjects. From punchy columns to longform features to books, Braunias has focused his keen and oft-sardonic eye on everything from small-town life to a passion for birds to political satire to a Herculean quest to eat his way through 55 food joints on a single stretch of a busy Auckland road. With THE SCENE OF THE CRIME, Braunias returns to his roots, in a way, as he was assigned court reporting duties as a young scribe for a small-town newspaper on New Zealand's wild West Coast. "I've loved it and I've hated it, and I could seldom tear myself away. All reporting is the accumulation of minor details, and nothing is too minor in a courtroom devoted to a case of murder. There is such an obsessive quality to trials. There is no such thing as courtroom drama, and the idea that a trial is a kind of theatre is facile. It's far more powerful than that. It's a production of sorrow and paperwork, a clean realism usually conducted in a collegial manner, in dark-panelled rooms with set hours of business. The orderliness is almost a parody of the savage moments it seeks to understand." 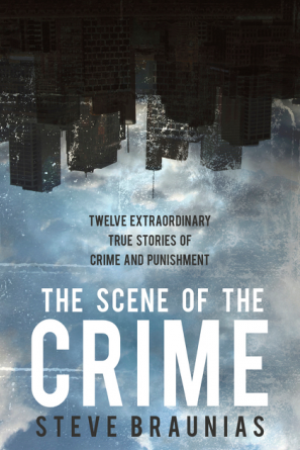 In THE SCENE OF THE CRIME, Braunias takes readers behind the scenes, and beyond the media headlines and soundbites, of a dozen different cases he's covered. These include notorious cases and highly publicised trials involving Mark Lundy, Rolf Harris, Tony Dixon, Louise Nicholas, and others (the Lundy murders get four chapters, each offering different insights on a still-puzzling case). It's a remarkable collection. 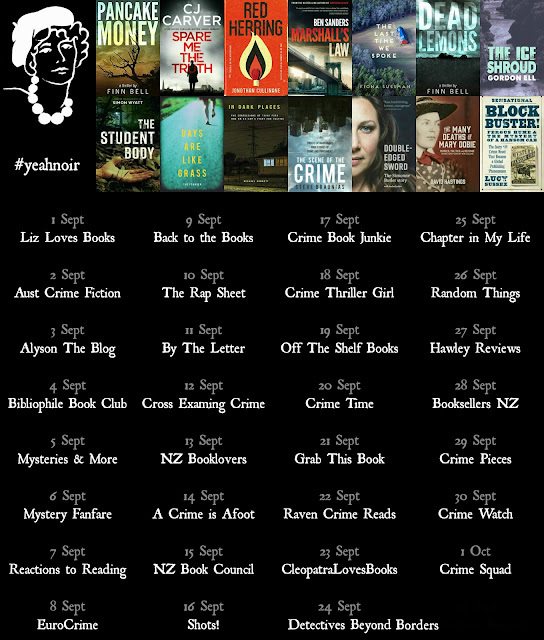 Whether you're familiar with the cases or not (or have read the original stories Braunias published in various major New Zealand newspapers and magazines, now extensively reworked for this collection), Braunias offers something fresh here as he shows us the people caught up in ghastly deeds: perpetrators, victims, law enforcement, and their families. . He captures the madness, badness, and oddness swirling about some of our most infamous crimes and non-crimes. He revels in tiny details that bring these true events to vivid life, creates a page-turning narrative drive, and prods readers to (re)consider what these moments say about the national psyche. 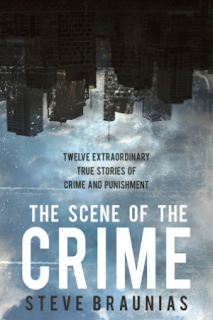 THE SCENE OF THE CRIME covers brutal acts, but it's not dire or exploitative. There are moments of humour, of lightness and reflection. In his inimitable style, Braunias entertains and informs. Among taking a deeper, more nuanced look at high-profile cases, I also really enjoyed the chapters covering lesser-known or remembered crimes. There's a fascinating chapter on a 1960s mass shooting that led to the creation of the Armed Offenders Squad (New Zealand's equivalent to SWAT), where Braunias talks to surviving policemen, family members, and the daughter of the 'madman' killer. This is thoughtful, and thought-provoking, true crime writing. Delivered in bite-sized chunks that you can devour in linear fashion or haphazard order, Braunias made me a glutton; I swallowed the entire degustation in a single evening.